It’s been fun launching my second book this fall. Since it was released on October 8, 2016 I have received some great feedback from readers in several states. I always try to ask, “What was your favorite part?” What I’m hearing so far is the Kansas City Stockyards chapter and the stories on feeding hogs. It’s a rare book that can satisfy both avid readers and those who hardly ever sit down to read. Also, it is rare that a book can be enjoyed across several generations, from grandparents to grandchildren. 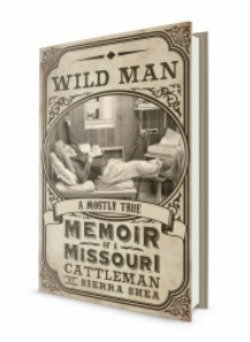 Sierra Shea has successfully managed both in her second book that follows her initial success of the popular Wild Man book. Every family has stories to tell and Sierra tells her family’s in an easy and conversational style that will take you from wonder to laughter. You’ll find that it is just like sitting down with an old friend catching up and reminiscing. 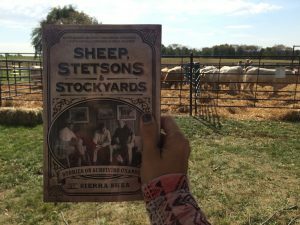 Sierra’s book is both a valuable treasure and a complete delight of not just family stories but a local and regional history of the livestock industry past and present. This is a zestful labor of love approached with a passionate and unique ability to weave family history in a style that is told with laughter and respect of an era that is both valuable and informative. For all who appreciate family and history of and industry that has changed dramatically.